You are always such an inspiration Julie!! I just love your creation!! Stunning!! love all the texture and details. So festive!! your last month really… Man that went by FAST…. I so adore your work Julie! You so deserved being DD! Congrats again girlie! Julie, I can’t believe its been six months either! I love your DD projects! I am so glad you have join DRS Designs! That way I will see your fantastic projects all the time! Fantastic!!! 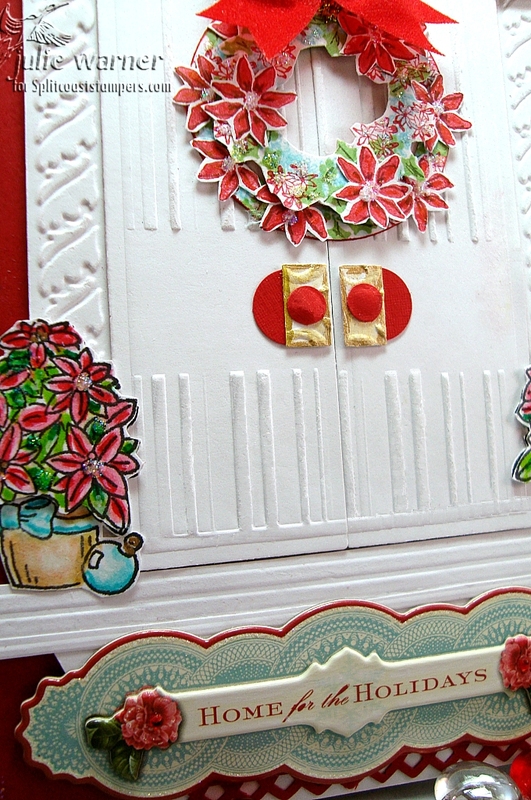 OMG – this is the perfect theme card for this months Fan Club challenge!!! Totally love it!!! You are rockin’ my world – GF!!! Just in case I don’t get a chance to stop by again….MERRY CHRISTMAS!!! Hope Santa will bring you tons of goodies :)!! !